UPUMS Recruitment 2019 - Apply Online for 116 Faculty Posts in UPUMS, Uttar Pradesh. Online Applications are invited by Uttar Pradesh University of Medical Sciences from 25 Jan 2019 to 28 Feb 2019 for 116 vacancies. 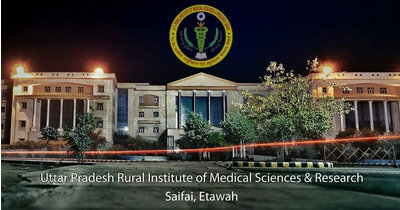 MD/ MS or DM/ MCh degree (of 03 years duration) as prescribed in the schedule of Medical Council of India (MCI) with valid MCI/ State Medical Council registration and have completed total of 03 years, 06 years, and 14 years of teaching experience after postgraduation at a MCI recognised teaching institution, for the posts of Assistant Professor, Associate Professor and Professor, respectively. Prescribed duration of experience will be determined as per the university rules. Total teaching experience for the post of Professor/Associate Professor shall also include teaching experience at lower positions in MCI recognised institutions as required under the MCI regulations. Eligible candidates may apply online at UPUMS's website (direct link is given below) from 25 Jan 2019 to 28 Feb 2019. Candidates log on to http://www.upums.ac.in/.